What ideas in this game do you think should be used in the next deadly kombat? <br/> <br/>I believe at least the premier skins to add other characters (Frost) and the chapters with two characters. The customization and the coming of random items (but without RPG elements and increase of estatiscas, only items for changes of appearance) with several pieces to form a clothes, could be applied (currently the Kripta is very predictable since a day later already We know where they are). What ideas in this game do you think should be used in the next deadly kombat? I believe at least the premier skins to add other characters (Frost) and the chapters with two characters. The customization and the coming of random items (but without RPG elements and increase of estatiscas, only items for changes of appearance) with several pieces to form a clothes, could be applied (currently the Kripta is very predictable since a day later already We know where they are). The four bar meter and defensive options(dash roll/air roll). <br/> <br/>After being uneasy about the gear system I am now 100% all in. If they implement this in MK11, a game that they are a bit more free to experiment with art st<i></i>yles, it could be so amazing. The four bar meter and defensive options(dash roll/air roll). After being uneasy about the gear system I am now 100% all in. If they implement this in MK11, a game that they are a bit more free to experiment with art styles, it could be so amazing. The one beef overall that I have had with this franchise, and with NRS in general, is that Mortal Kombat has felt almost like an experiment...they try a few new things, work on a new engine, see what works, what doesn't...then use that to perfect Injustice. The good part is that Injustice and MK are evolving on their own paths. I2 feels different enough from MKX that I don't even feel like I'm playing a similar game...I feel like I'm playing something else entirely. It feels far more technical, with all these tech escapes and whatnot...and the concept of "back to block" is absolutely alien to me and something I continue to have trouble wrapping my head around in an MK style game. * "Kustomization" - i'm not wild about the fact that gear changes stats...that means some of the most wicked looking gear can be some of the shittiest gear thanks to stats. 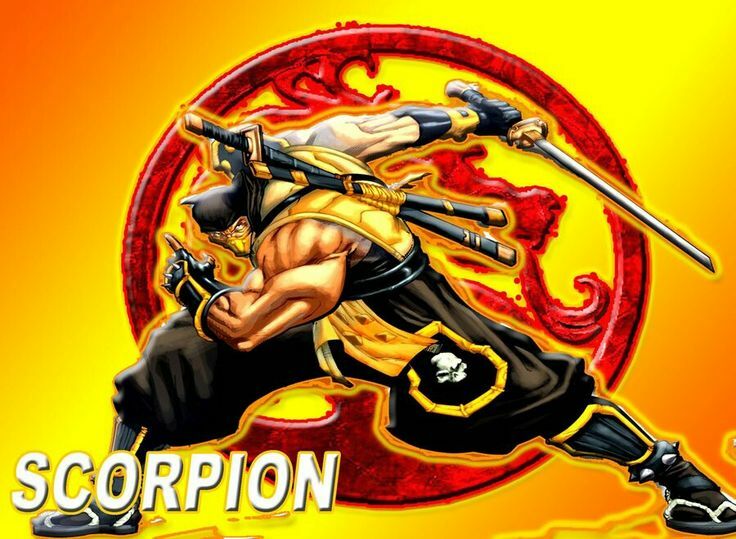 With how amazing MK art design has always been, a gear system that would allow for the customization of MK characters, including shaders, parts and maybe even effects, would be amazing. This is a feature I've been campaigning for to NRS for many years. * "Brother Eye Vault" - let's face it...the Krypt has pretty much been absolute garbage since MK9. Sure, figuring out some of the puzzles has been neat, but realistically the Krypt has contained nothing but garbage that I never bothered using other than fatality and brutality inputs (which btw was complete bulslhit to begin with...locking finishers in the krypt?). I mean come one...friggin' King of the Hill emojis? F*ck that noise. I'd rather see more rewarding options like those that come in Brother Eye boxes - character parts, shades, costumes, gear, whatever. Otherwise, the gameplay elements should largely stay separate from each other to allow Injustice and MK to evolve along their own paths. Injustice 2 is a great game. So was MK9. MKX now looks like the stepping stone it always was. The gear stats + looks should be included for sure. The fighting system is easier for casuals, and yet gives further diversity with character specific '4' moves. Purists probably disagree but I prefer it, although it wouldn't be MK without a second kick button so to transfer this would be a step too far me thinks. Speaking honestly ,the customization of Injustice 2 is a double edged sword. In the long run it will destroy both gameplay and aesthetics. First off some gears are too hard to obtain, others are too powerful and break the gameplay. So in order to have a well balanced fight, you have to use the non-gear fight mode, which pretty much makes the gear system useless. Secondly, the gear system destroyed the alternative costumes. Mk needs more alternatives, than little edits in colors or shape to a single standard costume. I don't like branching paths in story mode as well. Make me choose what character to pick, but give me just one story, with one outcome. I hated the Mk4/DA/Deception/Armageddon days, when you had to wait for the next game tomorrow know what happened in the story. I love MK9 and MKX story modes just for this reason. The only thing I'd take form Injustice 2 is the premier skins. But only if they make sense, are voiced with different voice actors, have their own arcade ending, Fatalities and Special Moves and a role in story mode. 1) Definitley want colour edit in the game. Skin, hair, ninja garb nothing should be taboo. Hell maybe even have things like camoflage patters and zebra and leopard stuff on there with the colours. I WANT ZEBRA PRINT NOOB SAIBOT. And so on. I want to pimp my character. Ill agree with the ability to customize looks for MK11. down to clothes or costume and colors. ID do away with Variations. I feel there wasn't that much different between them and would rather have one complete Kombantant. <br/> <br/>Stage Transitions koming back please. Ill agree with the ability to customize looks for MK11. down to clothes or costume and colors. ID do away with Variations. I feel there wasn't that much different between them and would rather have one complete Kombantant. Stage Transitions koming back please. We don't need variations just give us the ability to earn new moves. There is so way than can make the game balanced if they add kreate a fighter. if they add it next to regular mode, than it could work. But than again i dont see NRS do all that extra work. I think they should just leave the injustice stuff where it is. focus on a longer more fleshed out story mode. Goodness if they could do something like an RPG element into the game like in deception that would be amazing. <br/> <br/>Gameplay, and Story mode is what i want the most attention to go to. I think they should just leave the injustice stuff where it is. focus on a longer more fleshed out story mode. Goodness if they could do something like an RPG element into the game like in deception that would be amazing. Gameplay, and Story mode is what i want the most attention to go to.